him. If you haven’t, today’s your lucky day – read on and be in awe. 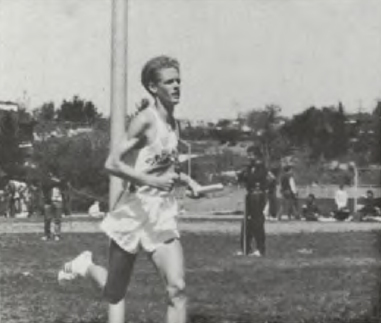 Hans started off running the way most distance runners do, in high school P.E. the teacher's trust. That pretty much sums up Hans' integrity. two-mile time as a junior. No one was prepared for what would happen next. following week, running a solo 9:39 as a tune-up for the Susanville Invitational. 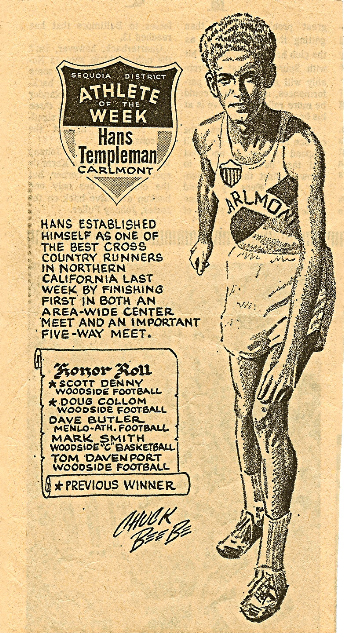 8th in the Nation that year for 2 miles. Next came the South Peninsula Athletic League Finals at Golden Gate Park, where Mr.
have been, he also had a wicked sense of humor and would love to laugh until it hurt. Club”) while at Carlmont. He was a boy who loved to play poker, and he usually won. his love for running and put in one of the most impressive summers of racing during 1975.
nervous either if I knew I was gonna win!!! !